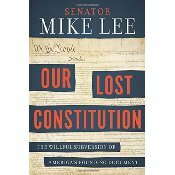 Our Lost Constitution by Senator Mike Lee | What Would The Founders Think? Honest and straightforward, this book is not about the glorification of Senator Mike Lee. In fact, the author scarcely mentions himself! Instead, it's filled with history - both of the sources and inspiration behind our Founding Document - and where and how we have let its principles lapse. When the publisher reached out to WWTFT to see if we would be interested in reviewing this book, this reviewer was skeptical. But, the title seemed like something worth considering. The skepticism comes from an innate disdain for politician “written” books produced in anticipation of the next election. So, not knowing a whole lot about Senator Mike Lee, other than his conservative credentials (doesn’t necessarily make for a good writer), the book came as a nice surprise. The first thing that struck this reader was that the book seemed honest and straightforward. It is not about the glorification of Senator Mike Lee. In fact, the author scarcely mentions himself, except at the very beginning of the book, when he talks about his dad’s legal career and a little about his own status as a senator. Toward the end of the book when he gives context for some of his remarks about the Supreme Court, by mentioning that he clerked for Justice Alito. There really isn’t a whole lot about Senator Mike Lee in this book. The second thing that struck this reader was that this book is not a diatribe. It is not filled with vitriol. But it does start from the premise that the Constitution is worthwhile and worth protecting. By the time one gets to the end, and honest reader should see why this is the case and understand some of the more unique aspects of our system of government and how it came to be, where it has been denigrated, and even how to reclaim it. This book contains a surprising amount of history, American and British. While the senator is not a historian, he does an admirable job of unearthing quite a bit of the historical origins of the various parts of the Constitution and Bill of Rights. The Notes/Bibliography at the end of the book make no pretenses about loads of primary source materials, but the citations are all from respected authors and honestly explained. Senator Lee gives credit where credit is due for some of the ideas he references. This reader learned quite a bit about the origins of the 2nd Amendment and even more about those of the 4th. While certainly familiar with the list of grievances delineated in the Declaration of Independence and the general “writs of assistance” employed by British customs officials against the colonists, this reader was largely ignorant of the British abuses in Britain. 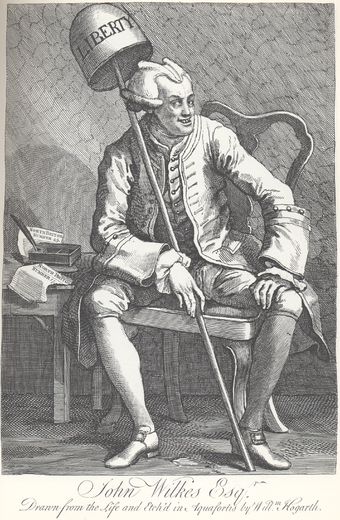 In particular, Lee’s brief history of MP John Wilkes was very interesting. The use of General Warrants against Wilkes in 1763, perhaps more than the abuses of British customs agents, provided much of the inspiration behind the 4th amendment to the Constitution. Under the auspices of a general warrant, anyone could be dragged from his bed in the dead of night at the whim of the king and be held by armed guards without probable cause or even suspicion of having committed a crime. That was precisely what had happened under the authority of the general warrant presented to Wilkes. Even though Halifax was looking for only three people — the North Briton Number 45 had one author, one printer, and one publisher–Wilkes was among the last of forty-nine people arrested under the supposed authority of this single warrant. Many of them — printers and printers’ apprentices — had nothing to do with the North Briton, and the arrest of these innocents only furthered Wilkes’s conviction that the warrant was illegal and invalid. Wilkes spent 6 days in the Tower of London, before being released. He became a folk legend, subsequently successfully suing Halifax and garnering hordes of admirers. But King George wasn’t done. Wilkes was later imprisoned for over two years — but every attack on him backfired. Perhaps one of the biggest backfires against the King’s abuses came in the form American Independence. Wilkes had become a cult figure in the colonies, his experiences had mirrored/foreshadowed their own. Just as Senator Lee digs into reasons and inspiration behind numerous amendments to and articles of the Constitution, he also provides insights into how certain deviations from the Founders’ original intent have come about. Most readers of Our Lost Constitution will be shocked at the role Supreme Court Justice and Klansman, Hugo Black, subverted the establishment clause. Senator Lee also details the effect of FDR’s attempt to pack the court — and how the court caved to avoid it. But, there is a positive and optimistic outlook as well. The author also includes the story of how the Heller case rejuvenated the 2nd amendment and concludes his book with some practical suggestions for saving Our Lost Constitution. It’s a pretty good book, even though written by a politician! I’m looking forward to reading this book. It seems our Constitution is attacked by both political sides, and some want to call for a Constitutional Convention again. Awful thought! Thanks Ann. A Constitutional Convention presupposes a people capable of such a thing. I don’t know that contemporary Americans have the education, intellect, or character that the men that framed the Constitution had. Martin: Great review. Thank you. I read the book and was impressed with the authors ability to stay focused on issues and principles rather than blaming. Having said that, I want to let you know that I agree with your comment 100% re whether Americans have the education, intellect, and/or character that the Founders had. I can assure, based on extensive research and reading that the Founders intellect far, far, far excels our level of education as compared to today’s standards. We, as a nation, have so much knowledge at our fingertips, but we know very little about those things that really matter. Thanks. I am glad the review was of some value.